Artis Brush's innovative tools are designed with the softest CosmeFibre® filaments for professional application. This versatile 'Palm Brush' is designed with a grooved base, instead of a handle, that provides precise control. 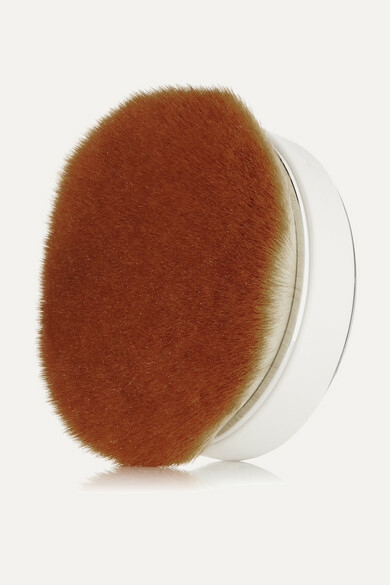 Use it to apply a host of products, from foundation and translucent powder to bronzer or blush.